HANDY HANDS-Lizbeth Cordonnet Cotton. This high quality, 100% Egyptian Cotton thread is hand-dyed and has an outstanding body that holds its shape. 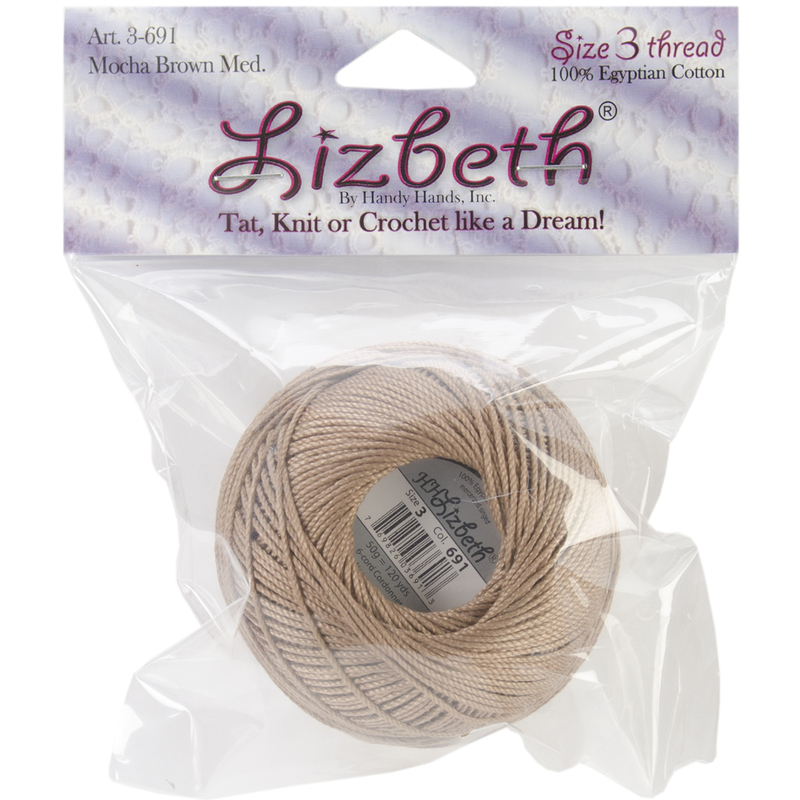 It's perfect for all of your knitting and crocheting projects. Available in a variety of colors (each sold separately). This package contains one 50 gram/120 yard roll of thread. Size 3 thread, mercerized, gas-signed. Imported.